A new company in town, Beautifie was looking to introduce its fine range of premium modular kitchens and modular wardrobes along with a whole host of other value-added services and turnkey solutions. They wanted to build and design a new website that would act as the primary customer touchpoint for a growing business. 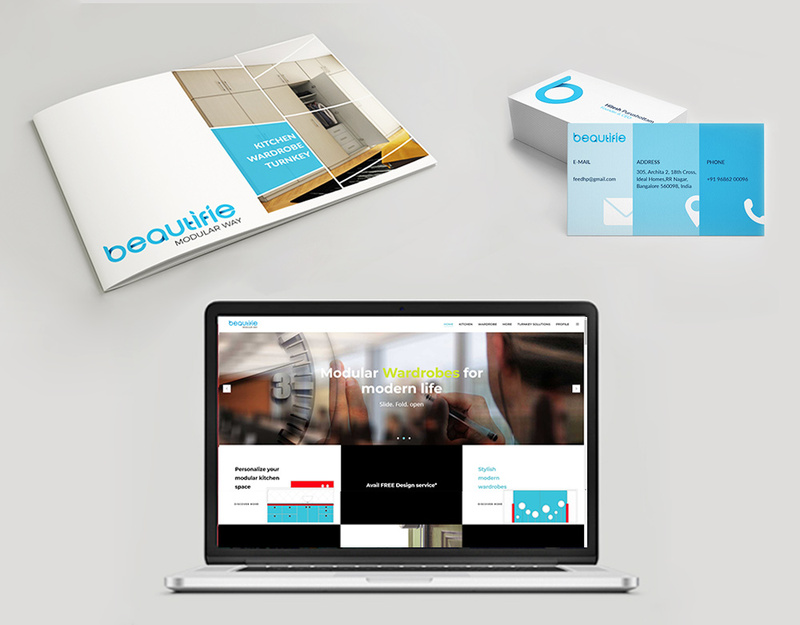 Our web and design teams put their heads together and came up with a sleek design for the new Beautifie website. Our web team also did their due diligence with the UI / UX factor to ensure smooth compatibility and a seamless experience for the end user. Our team also ensured that content was up to scratch so that all relevant information was conveyed to the end user. The new website managed to gain a lot of traction. Lead generation shot up significantly owing to favorable SEO rankings, and customers gave favorable feedback regarding the design and interface of the website.